Managing by Mintzberg: A classic in the making? Henry Mintzberg, Professor of Management Studies at the McGill University in Montreal, became famous in 1973 for his doctoral research, the results of which were published in the book The Nature of Managerial Work (Harper & Row). At the time, Mintzberg was one of the first to scientifically study what managers actually did all day long, and he came to a number of conclusions that were quite remarkable for that time. It turned out, for instance, that the manager was primarily an improviser who spent the entire day communicating. He was not, as was thought at the time, a slave to his agenda, but much of the communication that took place was initiated by the manager himself. Today, nearly forty years later, Mintzberg has repeated his research, somewhat thinly, resulting in the fist-thick book Managing. By ‘thinly’ I mean that, this time around, his research rests on following 29 managers for one day and ‘fist-thick’ because Mintzberg manages to fill an entire 304 pages with this. Fortunately, Mintzberg realized that this was a little too much of a good thing, and was so kind as to write the most important sentences in bold letters, making it easier for the reader to read through the book quickly. “The Dynamics of Managing”, the second chapter, contains a discussion on what a manager does all day. This chapter borrows generously from Mintzberg’s book from 1973 since, as Hales’ quote shows, little has actually changed in what a manager does. Interestingly, the chapter is built up around a number of management myths that are refuted by Mintzberg. According to him, for example, managers are not reflective or systematic planners, but work with feverish energy on all kinds of brief and fragmented matters that primarily require immediate resolution. Managing is not just about the hierarchical relationship between superiors and subordinates, but also about the lateral relationships between coworkers. Managers appear to have anything but complete control of their agenda and activities. Rather, they determine which obligations they must meet based on their position, and which obligation they want to meet because it would benefit them. Managers continue to have little faith in official information from the ‘formal’ information system. Instead, they prefer getting their information from informal contacts, chiefly by e-mail, phone or meetings. They are also becoming increasingly more dependent on e-mail. With regard to the latter, Mintzberg claims that the Internet is not necessarily something new for managers, but something that makes it easier for them to get into and stay in contact with people. In the third chapter, “A Model of Managing”, Mintzberg describes a model based on the work carried out by a manager. According to Mintzberg, the work carried out by managers takes place on three levels, ranging from conceptual to practical: working with information, working with and through people, and taking action. In the middle of the model are the managers who shape their work by developing specific strategies and taking specific decisions. They then put the activities they plan to take on the agenda, with varying levels of independence depending on their position. On the first level, the information level, managers are two steps removed from the level where the work actually takes place. That is why, on the information level, they need to get others in the organization to take the necessary actions. Managers do this by communicating (both internally and externally) and by exercising control. Mintzberg notes that managers have reverted more and more in recent decades to the information level because it is easier to manage the bottom line and shareholder value from a distance from this level. On the second level, the people level, managers work on creating a team of people who are willing and able to do the work. They also try to create an organizational culture that is conducive to achieving success. On the third level, the action level, managers are not so much personally active, but make sure that things get done. They make this happen by managing matters proactively and trying to resolve problems re-actively, but quickly. Effective managers know how much time to spend on each level and make sure the time spent is well-balanced, i.e. never too much and never too little. Achieving and, most importantly, maintaining that balance is, according to Mintzberg, what makes managing so difficult. In “The Untold Varieties of Managing”, the fourth chapter, Mintzberg maps out those factors that determine the nature of the work carried out by managers. He examines the external context (country culture, sector and industry), organizational context (type, size and life cycle of organization), position context (level and type), situational context (temporary conditions and management trends) and personal context (background, years of employment and management style). 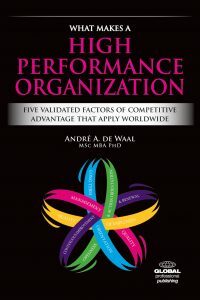 It turns out that, with the exception of management trends, all factors influence the work of managers, the most important of which is the organizational type, since the nature of the organization determines many of the activities a manager must carry out. Mintzberg also claims that the work done by managers in different countries is similar, since the country culture is far less important than expected. Chapter 5, “The Inescapable Conundrums of Managing’, is probably the most easily recognizable section of the book for managers. Thirteen conundrums are discussed in this chapter. The ‘superficiality syndrome’ concerns the question of how deep managers can go when there is already so much to do. The ‘contradiction of planning’ concerns the question of where managers must find the time to plan, develop strategies and thinking far ahead, while holding such a hectic position. The ‘labyrinth of dissection’ concerns the question of how managers can maintain an overview in a world that is increasingly more fragmented. The ‘uncertainty of affiliation’ concerns the question of how managers can stay in touch with the shop floor while the nature of their work demands detachment. The ‘delegation dilemma’ concerns the question of how managers can delegate tasks while many of them are based on personal, verbal and confidential information. The ‘mystery of measurement’ concerns the question of how managers can manage certain matters that cannot be measured. The ‘enigma of orderliness’ concerns the question of how managers can order the work of others when their own work is so disordered. The ‘paradox of control’ concerns the question of how managers can allow a certain degree of freedom in their employees’ work while their own manager maintains strict control. The ‘grip of confidence’ concerns the question of how managers can find a balance between the necessary appearance of trust and veering into arrogance. The ‘ambiguity of taking action’ concerns the question of how managers can take decisive action in a nuanced and complicated world. The ‘riddle of change’ concerns the question of how managers can find the balance between necessary change and necessary continuity. The ‘ultimate issue’ concerns the question of how managers can deal with all of these questions at the same time. Finally, the ‘personal issue’ concerns the question of how managers can harmonize between the fact that all of the above are separate issues, yet all point to the same thing: managing is one big riddle. This final issue clearly indicates that Mintzberg does not have any real solutions for these thirteen issues and asks himself whether there are any solutions or whether managers must simply learn to live with all the uncertainty. The concluding chapter, ‘Managing Effectively’, is the section that the reader has been waiting for, as this is where Mintzberg provides recommendations on how a manager can become more effective. Naturally this is something we all want to know. Mintzberg’s statement at the start of this chapter is a provocative one: no single manager is infallible, as every manager has a number of shortcomings, but the shortcomings of successful managers are not fatal, at least not at that moment (or they would not be successful). With this claim, Mintzberg lays a good dose of realism on the table: there is no recipe for success that applies to all managers under all conditions. But to help managers on their way to becoming more successful, Mintzberg provides a management effectiveness model that is derived from the literature on functional and happy families. Unfortunately, Mintzberg does not clarify why this model in particular is useful for developing effective managers. He does not go beyond saying that this model appealed to him considerably. What the model boils down to is that managers must first put in a great deal of energy in order to be able to do their hectic work. But, amidst all this chaos, they often need to find a moment for reflection, time to think about their organization. They also need to have good analytical skills, since trusting intuition alone is no longer an option in today’s world. A worldly perspective, defined by Mintzberg as multicultural sensitivity, a good sense of teamwork and a proactive attitude also help considerably. Finally, effective managers are able to energetically interweave all of these skills in “a blanket of reflection, analysis, worldliness, teamwork and proactivity, thereby ensuring social cohesion within the organization”. What this means exactly is, unfortunately, not entirely clear. Mintzberg concludes the chapter with a number of important considerations for determining the effectiveness of managers. Managers are not effective in themselves, but only in relation to their organization, which requires a good match between both. In other words, to determine the effectiveness of managers, you primarily need to look at the effectiveness of their organizations and the surroundings of those organizations. Finally, the effectiveness of managers is evaluated, not measured. This is an important distinction that Mintzberg makes in these days of performance measurement and accounting. He correctly states that the effectiveness of managers can only truly be assessed in the long term, which, by definition, entails a subjective evaluation. Obviously this is not a dilemma since, after all, managing is not a clearly defined profession with specific corresponding performance indicators. I read in a review of Managing that the reviewer believed this book to be a classic in the making. Considering the importance of the topic and the sometimes confrontational statements made by Mintzberg, I cannot help but agree. This does not alter the claim, in itself nothing earth-shattering, that the work of managers has not changed much in recent decades; more than that, therein lies the importance of this book, since it makes clear that there are a number of tasks that managers must always do well, regardless of the latest management rage. Mintzberg’s claim that the distinction made between leadership and management is an artificial one can also persuade us to once again focus on the total picture of an effective manager, who should therefore possess both qualities. On the other hand, calling the book a ‘classic’ may be going a little too far. Once again, the book is typical Mintzberg, in that it is much too thick and has too many footnotes, making it difficult to get through. The writing tone also frequently borders on arrogance and, after a while, the numerous references to the pioneering work that Mintzberg, by his own account, has carried out in recent decades start to irritate the reader. His research is also less than ideal in some respects. In footnote 10 on page 13, for instance, Mintzberg writes that one of the reviewers of the book draft noted that many American readers would lose interest once they discovered that the research deals primarily with non-American managers and was conducted in the 1990s. Mintzberg responds to this cleverly by saying, “Who believes that managing has to be terribly up-to-date and necessarily American has picked up the wrong book.” I definitely agree that managing is not an exclusively American phenomenon and that it is refreshing every once and a while to read about managers from other countries (which, incidentally, are all Western with only two exceptions). But the goal of this book is to show that the work of managers through the years has not changed much. All the same, it is bit odd to report on research carried out in the mid-90s fifteen years after the fact. Add to that the models described by Mintzberg in the book that were not developed by him and, at first glance, a truly solid scientific basis appears to be lacking, something that you would not expect from an academic of Mintzberg’s standing, and you need to ask yourself what this book can and wants to prove. But I will allow the provocative comments made by Mintzberg about the nature of managers, leaders and managing weigh most heavily in my final judgement: Managing may not be a classic in the making, but it is still important enough for managers to take note of. For more information about the HPO Framework, HPO Factor ‘Quality of Management’, HPO Diagnosis, our lecturers, HPO Experts, workshops and Master Classes, please contact us (schreurs@hpocenter.com or T. +31 (0) 35 – 603 70 07).